We call curd rice as daddojanam. 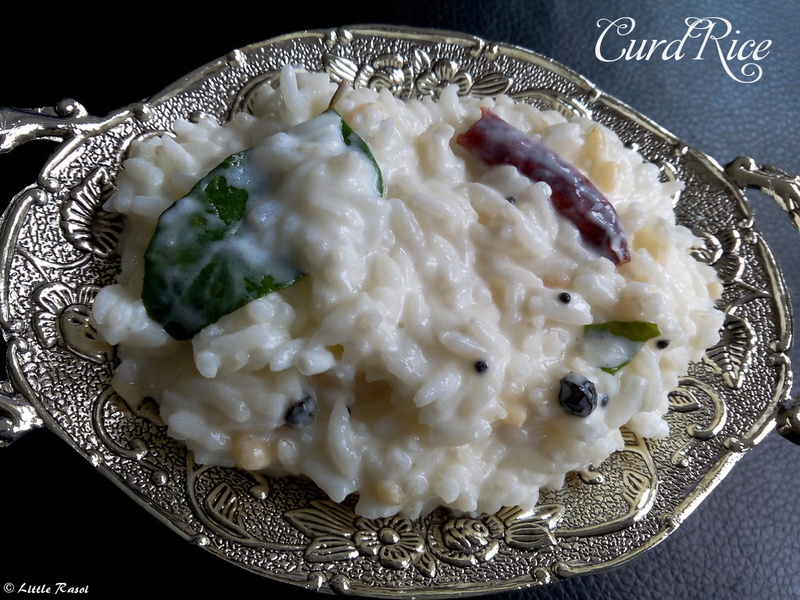 Curd rice is usually offered to god as naivedyam. We make this along with pulihora, sweet rice on important festivals. South indians have this at the end of a meal. It is made of thick creamy curd which is mixed with the rice and tempered. 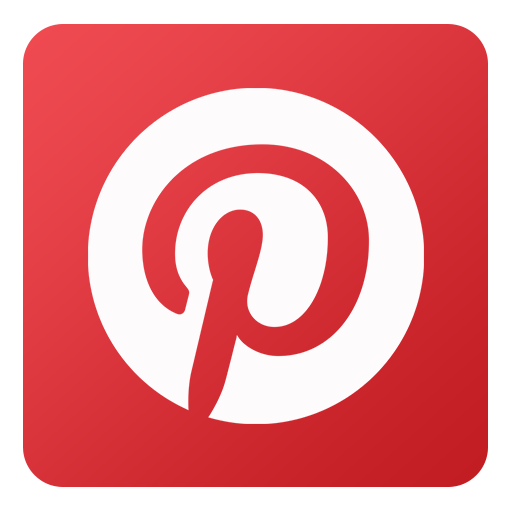 When I am out of veggies, I make this and it is pretty easy and quick to make. Curd rice can also be done with leftover rice. It can be eaten as it is or with any pickle. 1. Wash the rice twice and pressure cook it with 3 1/2 cups water for 3 whistles. The rice soft cooks. 2. After the rice cools down, add curd, milk, salt and mix well. Keep aside. 3. Take a small pan, add all the temper ingredients and fry. 4. Now add the temper to the rice mixture and mix well. 5. 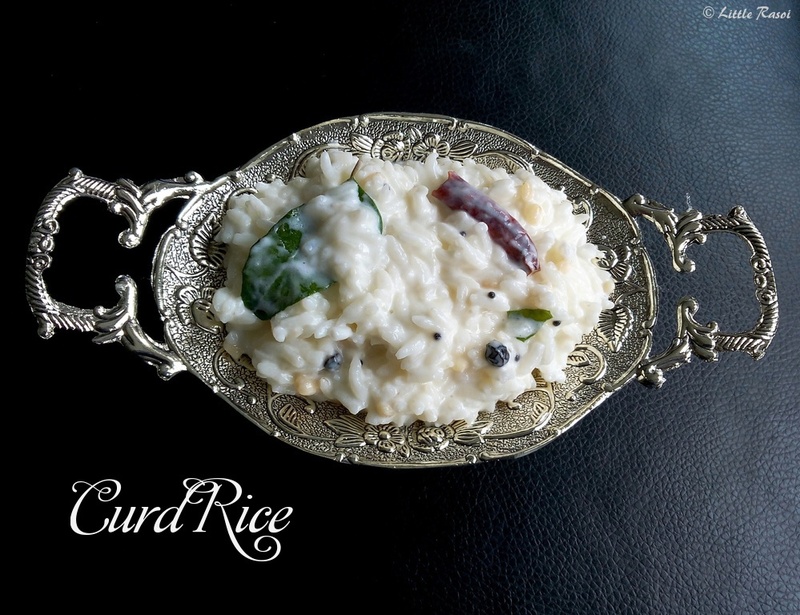 Serve the curd rice with any pickle or can be eaten as it is.